Whether as a historian finding solutions to unresolved problems or as a scientist finding the causes for events and actions, Luther Martin’s primary focus has been to get to the roots of the religious impulse in human existence. This collection of essays from scholars of his own generation and from his best students cover the three major strands of his work: the Greco-Roman world, cognitive science approaches to explaining religious phenomena and methodological issues in the academic study of religions. The contributions build on the work of Luther Martin and further the ongoing discussion and debate within these areas of religious studies. An antidote to the conventional handling of religion and a prolegomenon to any future religious studies. While the academic tradition from which this book emerges has, at times, been at odds with and even antagonistic to, the broad-umbrella approach to religious studies which is inclusive of theology and philosophy of religion by keeping a much narrower focus on the study of religion and restricting it only to those empirical social sciences, Chasing Down Religion demonstrates that even from within that much narrower focus a wide offering of very eclectic—some quite speculative and theoretical—essays can be merged within one volume. Truly there is something for everyone in this assemblage even though it keeps its commitment to historiography, and the cognitive sciences. 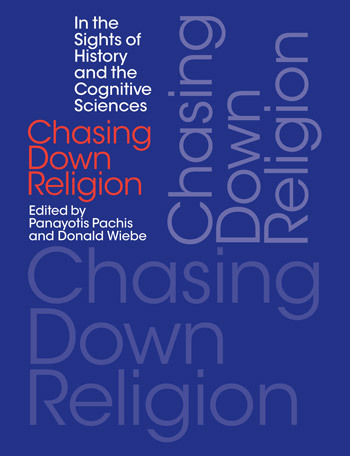 In Chasing Down Religion, editors Panayotis Pachis and Donald Wiebe extend a surprisingly varied, multidisciplinary-methodological lens upon religion and its study, and in its own way, this volume mediates some of the tensions found more broadly within academic studies of religion, most particularly the reductionist (science) vs non-reductionist (humanities) tension. How so? By adding the human touch.